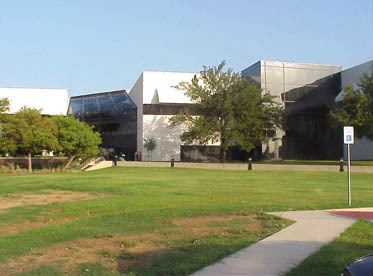 Located just south of Dallas/Fort Worth International Airport, American Airlines’ Southern Reservations Office underwent a major interior renovation beginning in 1999. 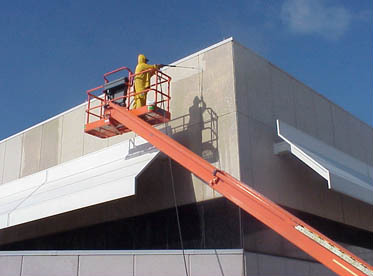 Part of the scope of work included wet-sealing all aluminum frame-to-glass joints, removing years of grime and dirt from the exterior surfaces of the white, precast concrete panels, and sealing the concrete panels with a water-repellent coating. Mobile Enterprises was retained by the General Contractor, T.W. Foster, to perform the exterior work. GE’s “Silpruf” Silicone Sealant was used to seal the perimeter of the windows. ProSoCo’s “Saltguard WB” was selected as the water repellent coating. The change in the building’s exterior appearance was dramatic, restoring the brilliance to the precast panels. New interior finishes and furnishings will be protected from window leaks for many years to come.